Drift Mania Championship 2 APK Android Game ~ My Media Centers-PC & Android Games & softwares,Movies, Tips And Tricks & Much more..
With over 10 million players worldwide, the #1 Drift game on the App Store is finally back! Drift Mania Championship 2 delivers the ultimate drift experience with its highly addictive gameplay and next generation graphics. Start a drift career, compete in a drift battle tournament or play against a friend using the new online multiplayer mode. Upgrade and fully customize your ride with performance upgrades and visual mods. Complete over 60 achievements in career mode. Challenge drivers from all over the world using the global leaderboards. 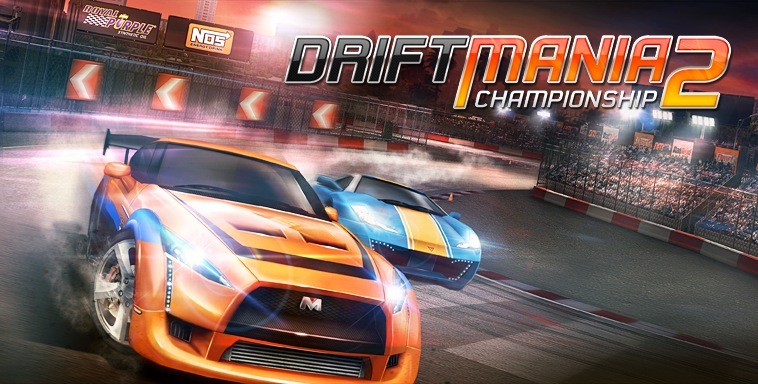 Drift Mania Championship 2 includes next generation 3D graphics specially optimized for your mobile hardware to provide you with the best drifting experience. Upgrade your ride by installing aftermarket performance products from licensed brands including Royal Purple, K&N, Magnaflow, Centerforce, Whiteline and Mishimoto. Fully customize your vehicle appearance with body kits, custom wheels, windows tints and spoilers. Make it your one of a kind drift beast! Adjust different aspects of your car including the suspension, steering sensitivity, gear ratio and weight distribution to suit your own driving style. Complete the career mode which includes over 13 drift circuits, 60 achievements and 48 performance upgrades to unlock. Gain cash to upgrade your favorite ride with visual and performance mods. Start a drift tournament, compete in tandem against an opponent while making your way to the finals! Challenge your friends to a drift battle! Share and brag your results with your friends on Facebook or Twitter. See your ranking against other players worldwide using the DMC online leaderboards. Submit your high scores and expose your accomplishments to the world. It’s a combination of driving skill, style and showmanship. It’s all about loss of the rear wheel traction while keeping the race car in total control. Drifting is so popular because it brings all the best aspects of motor sports into one package. Highly skilled drivers control a high powered street car past its limit, sideways at high speed, burning rubber. It can’t get any better! Compatible with all Android based phones and tablets running a resolution of 800x480 or higher.